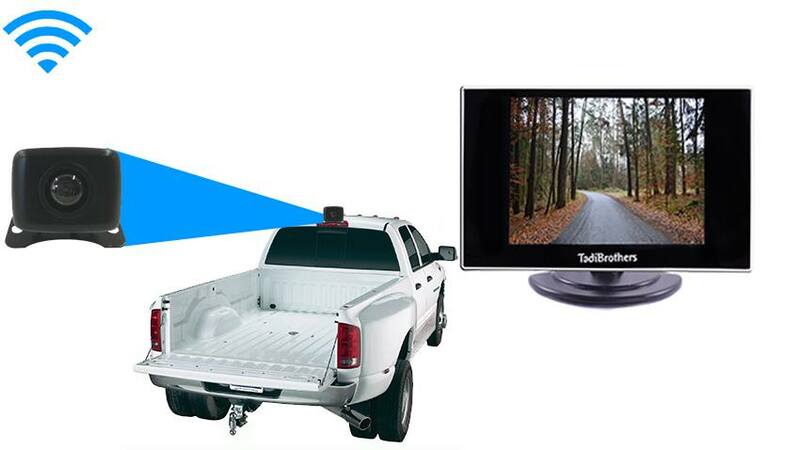 The commercial Ice Cube Hitch backup camera for gooseneck is mounted on any part of the vehicle to have a “bird’s eye view” of the Gooseneck Trailer Hitch. This camera has a 120° angle which is best for hitching up, there is no distortion. With 120° everything behind the vehicle can easily be seen, it is also color, waterproof and has standard grade night vision. The camera is also durable for use in the roughest weather conditions. Different brackets are included for installation so it can be angled downwards or upwards if necessary for an ideal view. We also include magnets so the camera can be easily mounted and removed. This item includes a 15 Foot cable that runs power as well. This means that the monitor will send power to the camera. The whole system is powered by a cigarette Adapter. It can also be hardwired or made wireless. Simply use the options on the right to change the system.